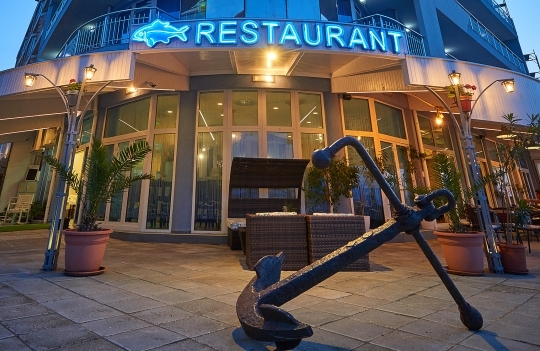 The restaurant of Hotel Regatta has 100 seats, 50 of which are outdoor. 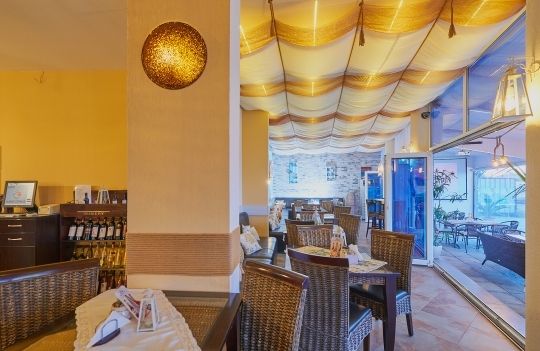 It offers Bulgarian national dishes, fish and seafood delicacies, pizzas, spaghetti and homemade desserts. 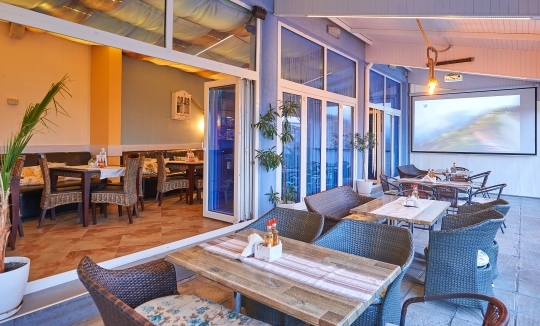 Here you can enjoy Pomorie regional wines as well as wines from the New and Old World. 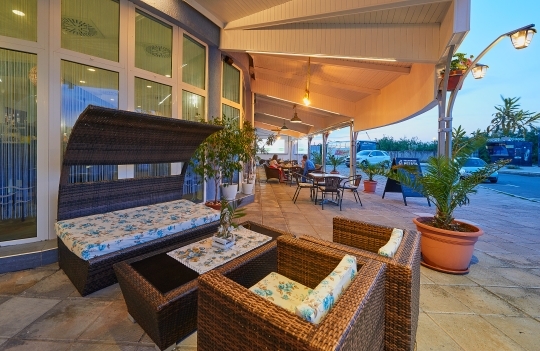 During the summer days, guests can enjoy the proximity of the sea, coolness and tranquility.